This is a unique and convenient way to enjoy a perfect cup of green tea on the fly. 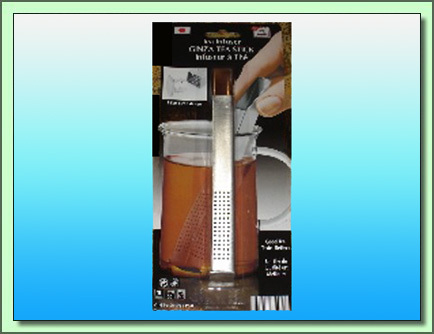 Just add tea to this infuser/filter and stir into water heated to the appropriate temperature for the tea you are drinking. A great gift edition to the home or office for the person who prefers drinking quality loose tea and expects the convenience. Use with the perfect tea spoon for a perfect cup of tea every time.